Recently, the name of the PA's 'Jerusalem governor' has come up repeatedly in connection to the kidnapping of a J'lem resident by the PA.
MK Betzalel Smotrich (Jewish Home) on Wednesday filed a complaint with the Jerusalem police against Adnan Jit, who acts as the Jerusalem governor of the Palestinian Authority, for acts of sedition, threats, incitement to racism and violation of Israeli sovereignty. In recent weeks, the name of Adnan Jit has been coming up in connection to the abduction of Issam Akel, a Jerusalem resident, by the Palestinian Authority. Akel, an American citizen and a resident of the capital, was kidnapped a few weeks ago and is being held by the PA on suspicion of involvement in selling a house in Jerusalem to Jews. Jit is behind the subpoena for investigation, and the incident has been met with outrageous powerlessness by the authorities in the state of Israel. According to MK Smotrich, "The illegal and subversive activity of Adnan Jit in the capital must be stopped immediately. Jit operates throughout eastern Jerusalem as an independent sheriff and terrorizes the city's residents. He acts through threats while trampling the law and continuing harm to Israeli sovereignty in Jerusalem. I filed a complaint with the police against his activities in the area of ​​sovereign Jerusalem, and I demand that the enforcement bodies take full account of Jit's violent activities and arrest him immediately. " "The story of the kidnapping of a resident of Jerusalem is a terrible disgrace. If the issue were over a Jewish citizen from Tel Aviv, the news broadcasts would all begin with this crazy story, and the State of Israel would demand his release within hours while exerting pressure on Abbas and the Palestinian Authority, but apparently because it concerns an Arab, there is a painful and racist silence on the issue. The state of Israel has many tools to act against the Palestinian Authority, and I call upon the prime minister to use his full power to return Issam to his home today. " “The reality goes beyond any imagination or logic. 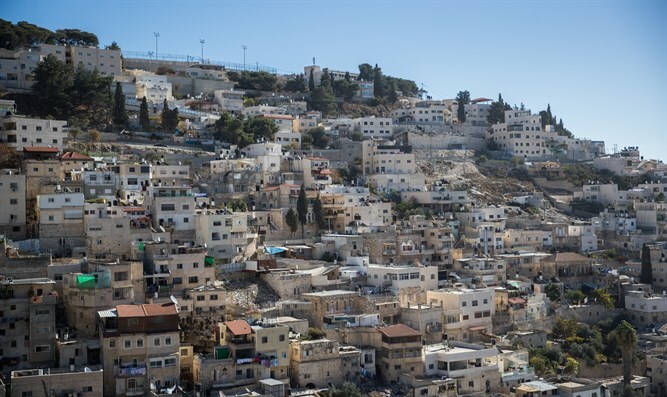 The Palestinian Authority uses a racist law that threatens the execution of those involved in the sale of land to Jews, the PA sends a sheriff to Jerusalem whose main task is to deal with threats and to ensure the enforcement of this racist law within the state of Israel. A resident of Jerusalem was kidnapped in state of Israel in the name of this racist law, and we have no answers but a painful silence, because it is ‘only’ the life of an abducted Arab. This disgrace must be removed, and immediately."